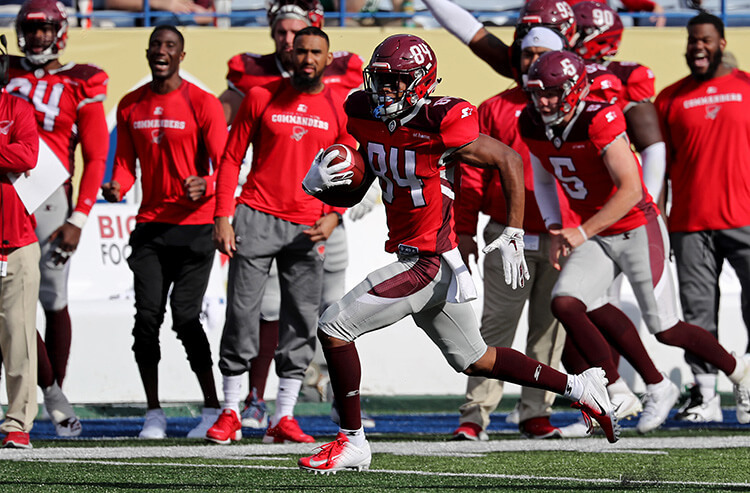 San Antonio's Greg Ward Jr. returns a punt for a touchdown during the Commanders' Week 6 win over Atlanta. 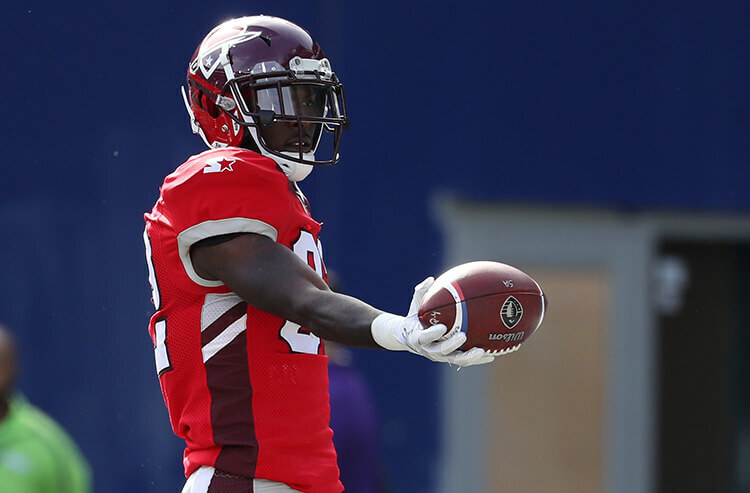 Week 6 is in the books but before we get to the scores and betting takeaways, we have to take a moment to welcome Johnny Manziel to the Alliance of American Football (AAF). It was announced on Saturday evening that Johnny Football has signed a standard league player agreement and was claimed by the Memphis Express. San Antonio held the rights to Manziel as he played college football at Texas A&M but passed, with Commanders general manager Daryl Johnston saying, “I truly believe that the moves necessary to add Johnny to our roster do not make us better at this time.” Memphis was then given the next option of adding Manziel as it holds the league’s worst winning percentage. Manziel enters into an interesting situation after the Express lost starting quarterback Zach Mettenberger to a serious looking ankle injury on the first play from scrimmage on Saturday. It appears as if Mettenberger will miss some time, meaning that Manziel will compete with former Troy quarterback Brandon Silvers, who replaced Mettenberger on Saturday, and opening-day starter Christian Hackenberg for playing time. Salt Lake covers as a home favorite and the game goes Under. Arizona covers as a road underdog and the game goes Under. San Antonio covers as a road underdog and the game goes Over. Birmingham covers as a road underdog and the game goes Over. Road underdogs were the story in Week 6 as three of the four not only covered the spread but also won outright. There were some major upsets in Week 6, with Arizona winning outright as a nine-point underdog and Birmingham winning as a six-point underdog, while San Antonio crushed Atlanta as a two-point dog. Week 6 started off on the Under train as both Saturday matchups fell short of the number, but the Over made a Sunday comeback, with the San Antonio-Atlanta game edging north of the total of 41.5/42 and the Birmingham-San Diego game easily eclipsing its 36-point total. The Under is now 14-10 on the season. 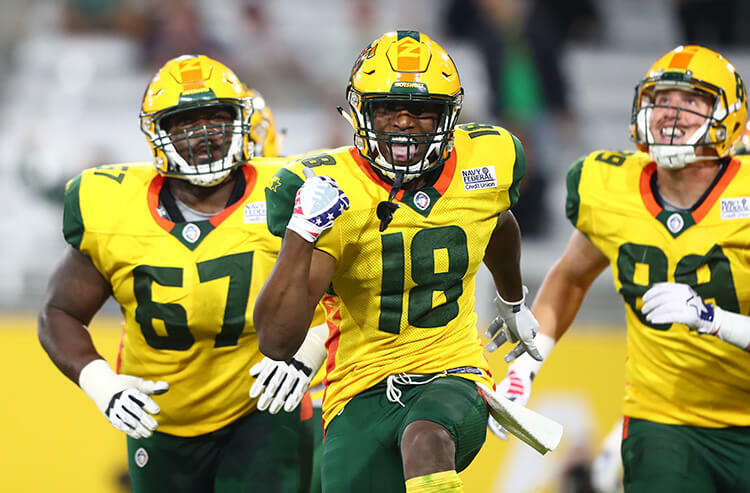 Not much in terms of bad beats, though the Commanders-Legends game did need a successful two-point conversion with just under nine minutes remaining to get Over the total, which might have left Under bettors feeling slightly salty. 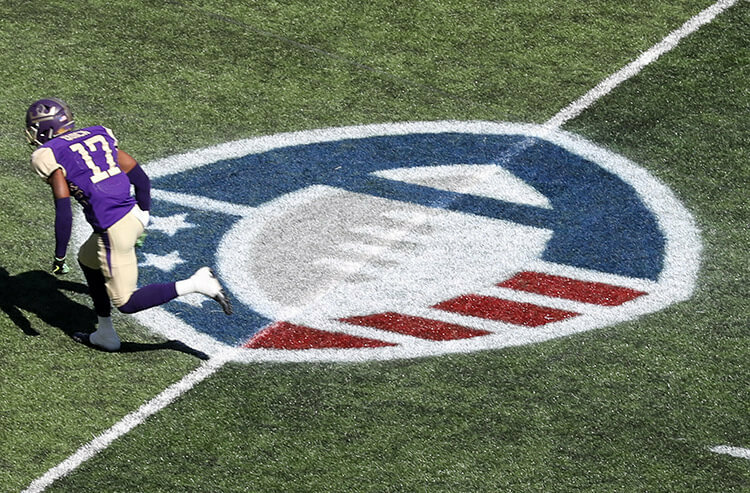 The AAF lines for next weekend won’t be released until Wednesday or Thursday, but I’ll take my weekly shot at predicting the Week 7 odds and totals.